Many of us could use some ideas for organizing our beauty products to make them easier to access. Try this simple solution by using a lazy Susan for beauty products. 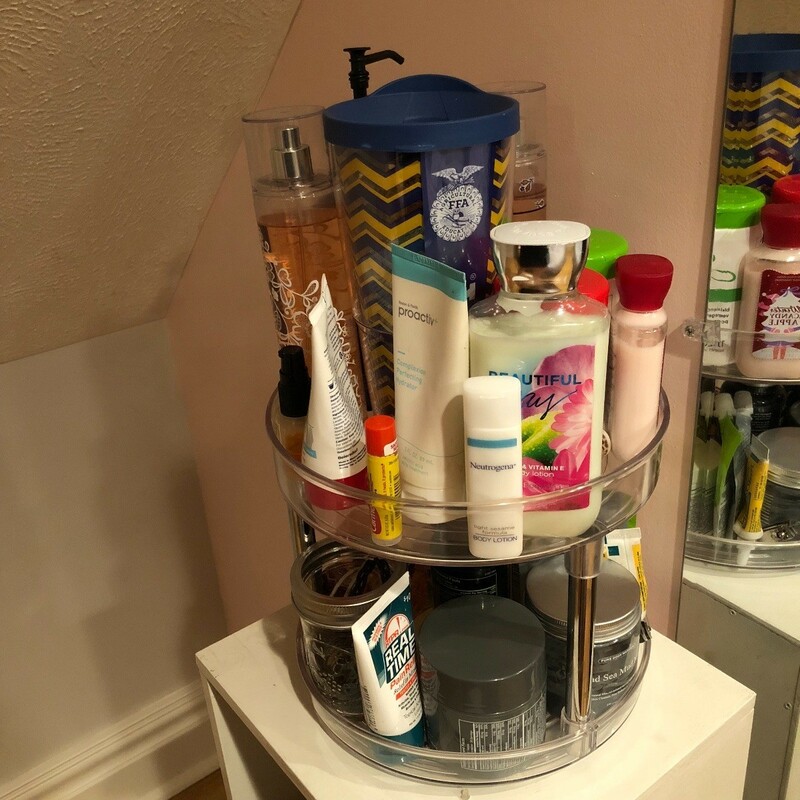 If your like me and have tons of beauty products and have them stored in a way that you cannot get to them all, then I have a solution for you! I purchased a $16 clear 2 layer Lazy Susan from Amazon and it is life changing! Now I can get to all of my beauty supplies with ease and I can get ready much easier in the morning.